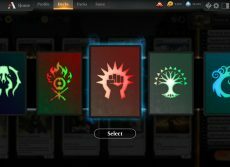 Developers rolled out a huge post about economy in MTG Arena and it’s perspectives. It’s a lot of PR in this text, but all painfull issues were discussed. So we are delivering to you higlights of this conversation. There are a lot of questions, and a few strong opinions, surrounding our choice of currencies. I want to make it clear from the start that the choice to have two currencies was not made to try to obfuscate value for players; we want you to know exactly what you are getting when you spend gems. Once the economy is set, we’ll be releasing all the relevant probabilities we’re currently tuning to complete the purchasing picture. 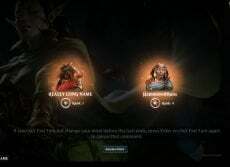 Gold and Gems: We have two currencies because we want to clearly delineate between what free-to-play (FTP) playing unlocks versus the things that real money unlocks in MTG Arena. We’ve mentioned before that there are events and cosmetics planned for the game that will be gem-only. Gems as Rewards? : We also want players to be able to earn gems as rewards because it gives FTP players a way to get things that you can otherwise only get with real money. This might seem contrary to the gold and gems statement above, but it’s meant to be a bridge between pure FTP and pure real-money transaction (RMT). It’s critical for anyone to be able to join any mode they want purely through FTP. Similarly, it’s more fun if FTP players can buy gem-only items with their rewards. Gem Bundles: The gem bundles are some basic groupings based on different price points. The reason they don’t line-up exactly with booster pack bundles is that gems are meant to be used on more things than just boosters (events, cosmetics). This will make more sense as more items are added to the in-game store. So, when you’re purchasing gem bundles, we want you to focus on the amount of money you want to spend, not what you want to spend your gems on. We also added the discount on the gem bundles so it would apply to anything you spent the gems on, thus discounting all gem-based purchases. change things. We have learned a ton about how we need to improve in-game messaging in this regard, but we were only able to do it because of your feedback. Some of it, we just couldn’t see because we are too close to the game. Wildcards: Wildcards (WCs) are new to collectible card games (CCGs). Because we opted for WCs rather than traditional dusting, we need to figure out the best ways to communicate their function and gameplay value. For now, we’ll use this post, but we are working on ways to make this more clear in-game. More Cards: We’ve said we created WCs so we could give out more cards, and we meant it. When we calculate the “packs needed to collect for a given deck,” (see Pack Value below), WCs are the “value” we use. In other words, WCs are the fastest way to put together the decks you’re trying to build. Anchoring from other systems might make players understandably feel like they are losing value with other cards, but they aren’t. We’re looking at ways of making this clearer. Instead of forcing you to destroy your existing cards to get cards you want, we’re letting you use WCs to get cards you’re seeking with no destruction required. Next Wildcard: One of the aspects of WCs that we want to help clarify is the value that they bring you as players. Part of this is that you don’t know when you’re getting the next one. While we haven’t published all of the drop rates, we do want to let everyone know, 1) you are making progress towards your next WC and 2) the drop rate is improving as you open more packs until you hit the safety-net point (which should be an exceptionally rare occurrence). We’re working on an improvement to this for a future release. Variable Playability: One of the downsides of all rarity-based card-unlocking systems (WCs or others) is that all cards of a given rarity “cost” the same amount to unlock but have different value to players. We understand that not all rares have the same play value to players for a variety of reasons. When combined with Individual Card Rewards (ICRs), WCs let us address this because we can still give out cards that are fun to play with but are not necessarily competitive at the highest levels. We’re planning to test a few events aimed at encouraging playing with cards just for fun. We’re also looking at events that would allow players to earn ICRs of rares from a curated pool of cards with a central theme. Pack Value: With the role of WCs clarified a bit, let’s get to the heart of the booster feedback. Folks want to know how far a pack gets them towards their desired deck. There are a lot of different ways to define desired, but for this discussion, we chose to focus on the example of a Tier 1 deck within the middle-ground expectation for high-rarity cards: Mono-Green Stompy, with seven mythic rares and 23 rares. Packs-to-Deck: We built simulations that opened lots of packs with the WC drop curves. By simulating the behaviors of thousands of players, this told us the median number of packs folks would need to open to get a given deck, in this case one with seven specific mythic rares and 23 specific rares. For our example deck, we found that 120 was the median number of packs required. We also looked at the spread for the number of packs for other Tier 1 decks that had both higher and lower concentrations of rares and mythic rares compared to our sample deck. When considered individually, our simulations showed that almost any Tier 1 deck can be built after opening between 95 and 145 packs. T1 Deck Cost: Since we’re digital, one of our main goals was to make our T1 deck cost competitive with other digital games, regardless of their rarity schemes. When we say “cost” in this context, we’re talking about both FTP earn-rates and gems purchased with real money. By our calculations, we are in that competitive zone. Collection Cost: Magic has a lot more depth and diversity than other games. Due to this, it costs more to unlock an entire Magicset. But WCs let us reduce this cost because we can give out more card rewards. We’re more expensive in total, but we also offer a lot more gameplay. One rare in every pack, a rare of your choice (i.e., WC) about every eight to eleven packs on average (5.6 packs counting the Vault). One mythic rare in about every eight packs, a mythic rare of your choosing about every 19 to 21 packs. Second T1 Deck: This one is especially tricky to evaluate because it depends on many factors. I wanted to mention it, however, because I’ve seen a lot of feedback on how it feels to get a second T1, good and bad. Keep the feedback coming as we need to see the economy play out more during the time between set releases and at a set release (for upgrade cost). As many of you know, we sent out another feedback survey last week, and we promised to share our results with you. We received almost 39000 responses in less than a week, which is fantastic. The only topic we won’t be discussing here is real-money purchases. There’s no sinister machination there, though; some information just needs to remain private by the nature of business. That said, we’re going to split our discussion into a few categories. Wildcard Acquisition: We received a lot of information on how players generally feel about the rate of collection progress. Rewards:Rewards reception is mixed at the moment. Quests:Players are largely happy with quests, as most players see them as at least moderately rewarding. Daily Win Bonuses: Many players are dissatisfied with daily win bonuses. We aim to address the concerns players are expressing here. We are exploring various ways of doing this, and some of these will be ready for our release next month. I’ve gone over this in greater detail later on in this post. Generosity: There was just about an even split between players who felt the MTG Arena Closed Beta was less generous than other digital card games and players who felt it was at least as generous as those games. Hopefully the changes we have planned can swing more of you into the generous camp. Events:While most of the actionable responses we received were related to rewards and progression, we still feel it is important to share what the survey results showed us about how players view and interact with events. Draft Events: Based on the responses, Draft events are one of the most important aspects of the game for many players. It was the number one motivator for people to play MTG Arena, and players found them more rewarding than Constructed events. Participating: Overall, entry requirements, prize structure, and format are the most important factors for players when considering participating in an event, though games per event and opponent’s skill level were also fairly high. Not Participating: Time and gold cost are the biggest factors that prevent event participation. Casual Rewards:Receivingbonus rewards independent of win total make most players more likely to participate in an event. Only about 12% of players said that these rewards made them less likely to participate. We want to reiterate that bonus prizes that aren’t tied to win total are intended to ensure that players who want to play more casual events also have fun, and we have more competitive events planned as soon as the next update. Overall:We received a lot of great, actionable feedback. We want to use this to inform and improve our future design decisions. Some of these decisions may take a while before you have a chance to see them in action. Some others will come as soon as the next update, and those will mostly be related to rewards for daily play. Fifth-Plus Win:We have heard quite a few players sounding off that they want more rewards for daily wins beyond just the fourth, and we want you to know We Were Listening. Starting with next month’s update, we will be extending gold rewards as far as 14 wins. There will be diminishing returns after your fourth win, but you will still be able to continue grinding. 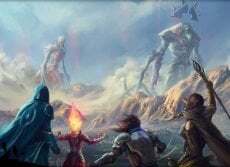 Packs vs. Events: MTG Arena has a fairly unique session structure for a CCG. In about an hour of play, you get enough gold to buy a pack. Or you can save it to use on an event. This is intended to let you get your core FTP value in a predictable (and short) amount of time while offering the option to play longer or in a different way. We want enough different modes of play to give you a branching path of where you choose to put your rewards towards, based on how you like to play Magic. We’ll keep testing and tuning this balance well beyond launch with new events and changes to rewards, but we wanted to explain our intent here since there’s been a lot of discussion on related topics. Competitive: These will be the premier events in MTG Arena requiring the highest levels of skill. In these events, you’ll receive non-ICR rewards based on your win record, with the greatest rewards weighted toward the top end. The entry costs will be higher as the rewards are also higher. Casual: These will range from just-for-fun events to events meant to cater to newer players. They will have flatter overall reward structures and more rewards designed to ensure more casual players also have fun playing. Quick: These are somewhere in-between and are mainly focused on letting you manage your time. They are best-of-one with a more mixed reward structure. The entry (gold or gems) into these events are moderate overall. Play Value: A lot of discussion has centered around what value, exactly, MTG Arena offers. This is a natural discussion in a digital game based on a physical card game. Each Magic experience delivers a different flavor of play value. You can play MTG Arena on demand in lots of different ways with streamlined gameplay and visual flair, and others can enjoy watching you do it. Or you can play Magic Online and play in a broad variety of formats from across Magic‘s history. Or you can play tabletop with its unique in-person experience and more tactile interactivity. We believe that tabletop, Magic Online, and MTG Arena each embody different aspects of the Magic experience. Thus, it boils down to what kind of Magic experience you want to have. Color Identity: Magic is such an amazing game because it lets people express themselves through play, like with color identity. Some folks strongly identify with a subset of colors and don’t really care about the rest of the cards. That’s a completely reasonable way to play Magic (BOROS FTW!). Wildcards are our way of letting you play the colors you want. There are other rewards in the game for other types of players, so that means MTG Arena doesn’t boil down to just red-white (as much as some of us would like that) rewards-wise. We encourage players to experiment with playstyles that may not come to them naturally, and some of our current quest design and future event design reflects this well. We hope you’ll indulge in this from time to time. Fifth Rares: There’s been great discussion around how getting a fifth rare or mythic rare, especially if you’ve purchased that pack with gems , feels bad at the current Vault rates. This experience is among the main reasons we are re-evaluating the Vault, so you can expect some changes in a future update. 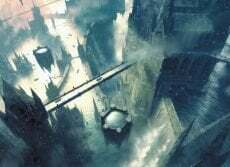 Economy Design Responsibility: There’s been some discussion about who owns the MTG Arena economy design and if we’ve just been shuffling numbers around instead of acting on beta feedback. Real Changes:April saw us double the amount of gold to the FTP experience for the game. And that happened because you played and we were able to see—and act on—patterns over long period of time. Even though it may not seem like it to some players, the baseline value you can earn on a daily, weekly, and long-term basis as a FTP player has increased. We moved some things around while also adding value (individual card rewards), improved some things (e.g. Quest rewards, Vault), and tried out some new things (e.g. events). With our June update, we plan on making only positive changes by adding the additional rewards detailed above. We will not be reducing any of the existing rewards with these additions. While we’ll eventually hit a point where we’re happy with the basics, you can always expect us to keep trying out new ideas and listening to your feedback, good or bad, on the decisions we make. Real People: I’m the Executive Producer on the product, and I’m involved daily in the economy design. I’m lucky enough to work with a very talented set of folks across Wizards of the Coast in figuring out the best economy for MTG Arena‘s unique offerings. There are no mandates to us about what this game should or shouldn’t be. As with any game, there are business goals, but our focus is always on the best digital Standard Magicexperience.